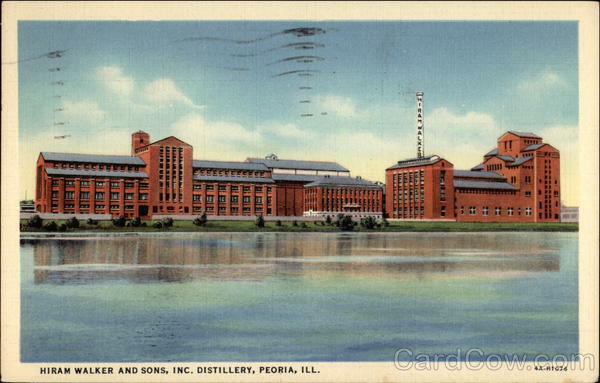 Peoria is known for it’s rich whiskey heritage and that heritage earned this town the title of: “The Whiskey City.” Hugh Higgins, who owns the restaurant and bar, Hearth in Peoria Heights is a true Whiskey Man., He worked in the whiskey, wine and spirits industry for over 24 years before he opened up his restaurant in the Heights in 2013. The bar in Hearth boasts one of the best whiskey inventories in town, so I thought it would be a nice spot to go and see what sort of whiskey drink Hugh could whip up for this MBIP Drink of the week! 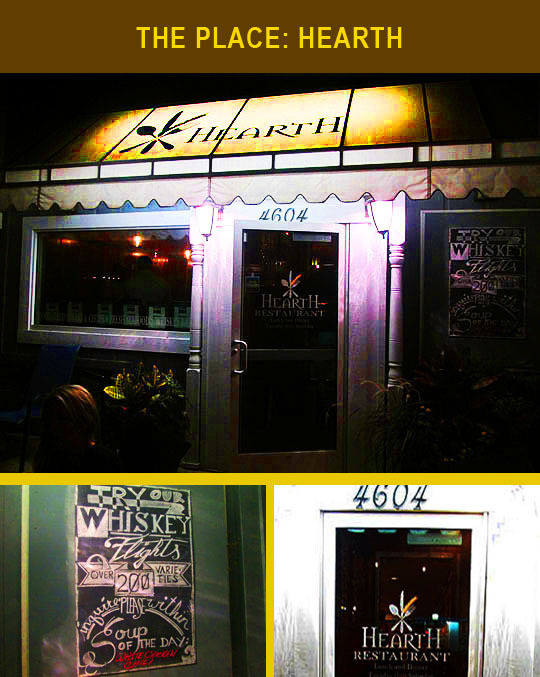 Here we are at this week’s drink destination: Hearth in the Heights! As you can see from the back of the bar and beyond, the whiskey, wine and spirits inventory here is beyond plentiful! It’s back to the bar! Here’s the owner of Hearth, Hugh Higgins. As I mentioned in the introduction Hugh worked in the whiskey, wine and spirits industry for over 24 years before he opened up Hearth in 2013, so he knows his way around the back of the bar! They have several signature cocktails, but Hugh said the best selling one is their whiskey based, Old Fashioned Wisdom. 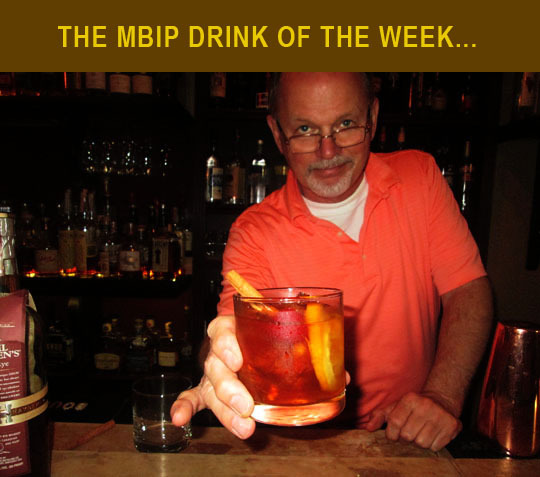 But, he told us, that for this week’s MBIP Drink of the Week, he’s going to up the ante on this cocktail. Hugh is making us a Dark Old Fashioned, which is made with this premium and exclusive, Basil Hayden’s Dark Rye whiskey. My mouth is watering already! Hugh wasted no time in constructing this week’s cocktail. He explained that this drink is made in layers that begin with a muddled orange slice, simple syrup, Black Walnut bitters and it’s topped off with an orange slice, a cherry and a fresh cinnamon stick. This week I was joined by my friend Terry Grawey, who’s Peoria’s only Hypnohumorist. He joined me after a private show he put on last night with magician Phil Raso and we both agreed that this is an unforgettable and delicious whiskey cocktail! Thanks to Hugh for constructing us this tasty and unique dink. Cheers! Related Posts: The MBIP Drink of the Week @ Proctor Snacks and Sodas, One World Cafe and Emack & Bolio’s.